Years ago in school, in English class, our teacher gave us the text (not the entire text) with gaps in it. We had to fill in the missing words and then learn it by heart. I hadn't hear/read that whole part before. 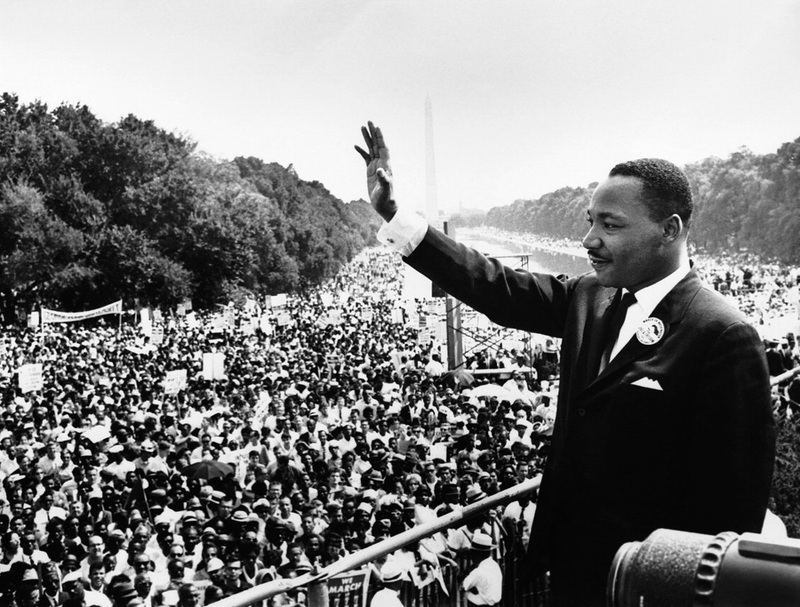 I knew about "I have a dream.." but that was it. I kept that text in my purse for a long time until it desintegrated. MLK Jr's sister, daughter and son are on CNN right now! I have just watched the "I Have A Dream" speech and find myself overcome with emotion. Rosa Parks sat so Martin Luther King could walk. Martin Luther King walked so Obama could run. Obama ran so we can all fly. bumping for the 2012 observed celebration of MLK's birthday. I'm just reminded that I heard a programme on the radio about Martin Luther King a while ago. It's a bit blurry, but I seem to remember that in the famous 'I have a dream' speach, he also talked about going up a mountain...? I know I did think about BBM when I heard it, but it's a while ago and I've forgotten the details. In reply #3 on this very thread, you can hear the 'I Have a Dream' speech as it has been 'you tubed'. In the original post of this very thread, the "Mountain Top" speech has also been 'you tubed', and it's a 1968 speech, apparently his last. Thanks for pointing it out to me, Sheriff! I hadn't checked the whole thread. Listened now, it's almost uncanny. He's talking as if he knew he wasn't gonna live long.